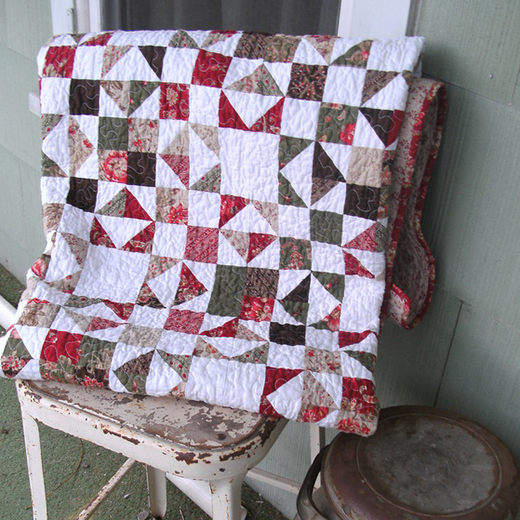 This Hidden Stars Quilt designed by Crystal Hendrix of Hendrixville for Modabakeshop, The Tutorial is available for free. "I am proud to present another Moda Bake Shop Quilt! I had a lot of fun putting this quilt together, and even though there are a lot of little pieces, it assembles quickly! Hope you enjoy making it as much as I do!"